"This one of a kind house is an almost impossible find! 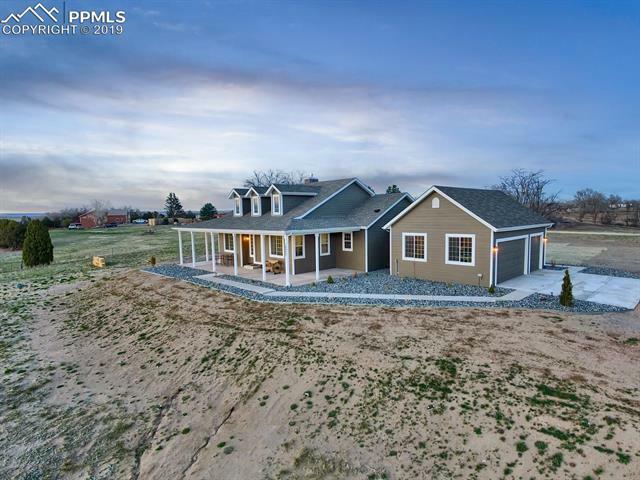 This 2017 G J Gardner built home sits just 3 minutes from the heart of Fountain or 15 minutes from downtown Colorado Springs yet it boasts 6.8 acres of land with unimpeded views of the entire front range. Main level living at its best with the master and two more bedrooms on the main level. The basement features what could be a guest bedroom and a full bath as well as a large den. The kitchen is beautiful with stone surfaces throughout!" 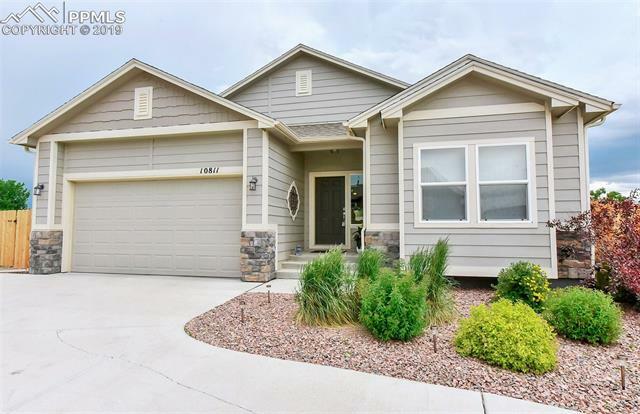 "Stunning home just minutes from Base or Colorado Springs. This home is snuggled on 2.69 ac. With 4 bedrooms, 4 bathrooms, and 3,203 sq ft of living space, you have plenty of room to entertain or relax. The vaulted ceilings allow so much natural light to come in to the home. The kitchen comes equipped with stainless appliances. You will love the convenience of the dual decks and walk out basements. During the summer, you can entertain in style! 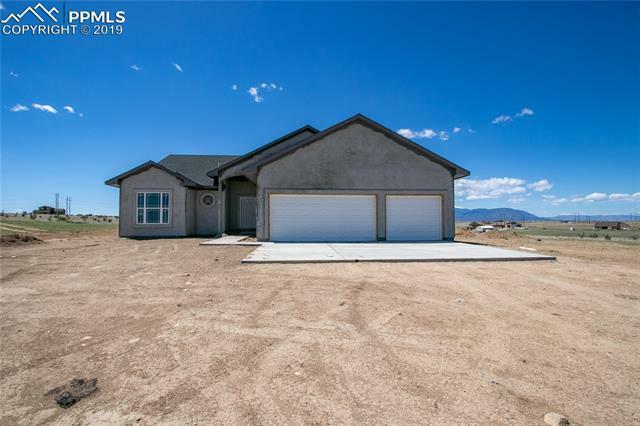 Call Cole today to schedule an appointment to "
"This is a Beautiful Challenger Ranch Floor Plan ready for the next owners to enjoy*The Flag Lot makes it very secluded and private off the beaten path so to speak. Walking Trails behind the home*Fire pit in the backyard, Garden Beds ready for Spring Planting*Great Room and Kitchen are so convenient for entertaining along with the covered Patio* Double Gates for RV parking and toys*Rec Room/Family Room in the basement is big enough for workout equipment, pool table, ping pong table and lots of fu"
"Immaculate rancher on 1/2 acre corner lot with an attached five car garage and heated workshop. Large Master Suite w/walk-in closet. This home has been extensively remodeled to include the custom kitchen with granite counter tops and wood floors. All of the bathrooms have been updated with custom tile. The solid knotty Alder doors are through out the home. Fully finished basement w/family room or a secondary master suite and two other bedrooms and adjoining computer/office area." 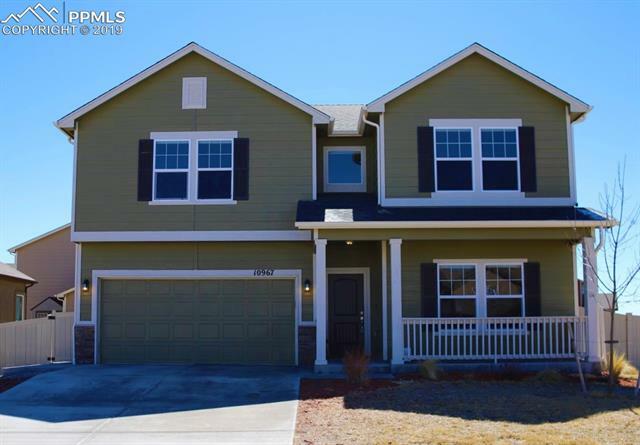 "You will fall in love with this breathtaking 2 story, former Challenger model home! Amazing curb appeal, new exterior paint, new roof, new gutters to come, large lot, sunny open floor plan through out! As you enter you are greeted by a formal living room as well as a private office/bedroom with a full walk-in closet and french doors. Also on the main floor is open concept dining area, large family room with with a stone surround fireplace, and Gourmet kitchen." 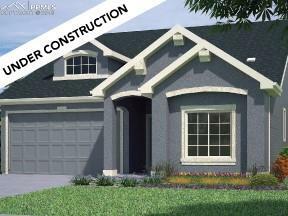 "Exciting opportunity to own the lovely Flagstaff model, on a corner lot, in El Dorado Springs. 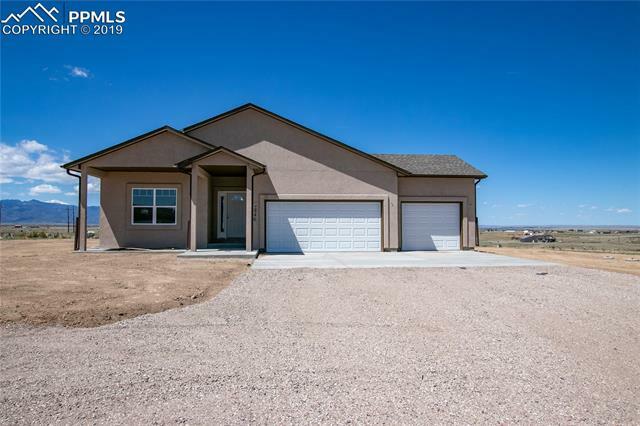 This very attractive stucco home is situated on 2.75 acres (with incredible mountain views), and features a 3 car garage, 4 spacious bedrooms, and a full unfinished basement! This floor plan has a beautiful open concept, which is perfect for entertaining. 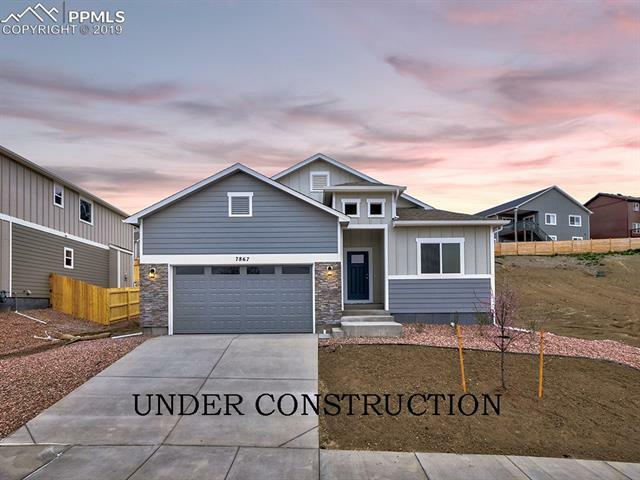 You won t want to miss the spacious master retreat which has a large walk-in closet, and master bathroom with free-standing tub and double vanitie"
"Wonderful 3 Story home with new Stucco Exterior and some new windows, all new carpeting and beautiful new vinyl plank flooring. Large eat in kitchen with granite counter tops and large island for extra seating, The pantry is very large and new stainless steel appliances. Main level office, and spacious entry and living room. The back yard is fenced and has a 20x10 patio for your outdoor entertaining. Storage shed for your garden tools. central air and heat." 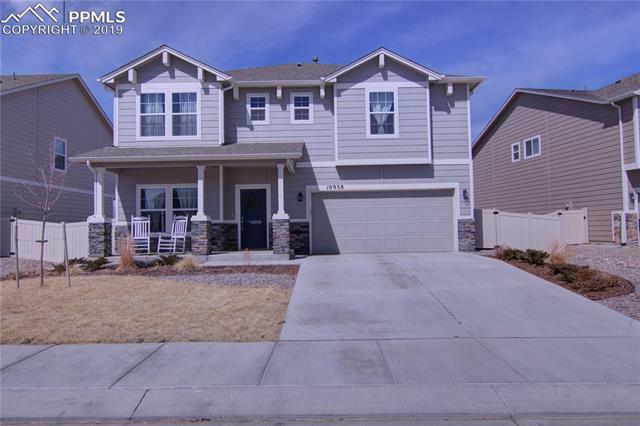 "A beautiful 5 bedroom, 4 bath home that is move in ready! This multi-floor is what Oakwood Homes calls a reverse basement. The main floor has a large open kitchen, living room, office, and access to the garage. The kitchen comes with all appliances, gas stove, beautiful granite counter tops, and large pantry. The 2nd floor has 4 bedrooms and 2 baths. The 3rd floor has an additional family room, 5th bedroom and a bath. 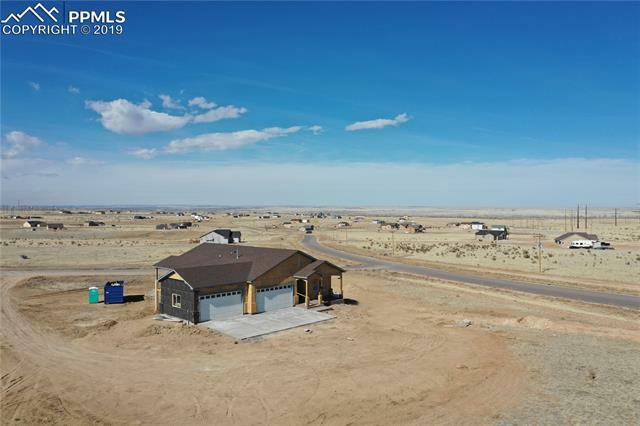 Easy access to Fort Carson, Peterson, and Schriever Bases. 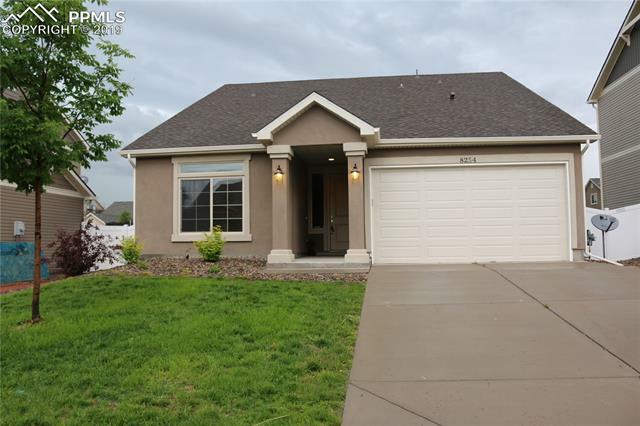 Convenient to s"
"Welcome home to this desirable ranch style floor plan. This home was built with you in mind and boasts a master suite, secondary bedroom and laundry all on the main floor. Prepare to entertain in the large open great room or move in to the galley style kitchen with large eat-in island. Upstairs you will find Oakwood s' innovative Smart Space loft, finished with open space, a full bathroom and the 3rd bedroom." "Stunning home with 2 large upstairs bedrooms in desirable Cumberland Green Community available for fast possession. Bringing families and guests from the living room, dining room and kitchen together is this open floor plan creation. Enter this gorgeous long covered front porch and foyer with tastefully engineered floors throughout the main living area and kitchen. The kitchen is heart of the home with stunning large island and luxurious serving buffet with upgraded glass cabinet doors for those"
"A-Maze-Zing!!! The extremely popular Manchester Floor Plan is the featured home that can be yours! Why wait for brand new construction when you can get this brand new beauty that is only 3 years old? Stucco exterior with one of the only 3 car garage homes in the neighborhood. Backs to open space (which will ALWAYS BE OPEN SPACE) along with mountain views of the peak. The community center park is literally in your backyard (how convenient is that?) Open floor plan with living room, kitchen, and "
"Don't let the front facade fool you. This is a 2-1/2 story spacious home with many extra features. The kitchen has a large island, a LARGE pantry, pull out shelves in the cabinets, granite counter tops, and a built-in wine rack. The appliance package includes the french door refrigerator, gas range, and dishwasher which all have a slate finish to deter finger prints, and the microwave is included. The kitchen and dining area have hard wood flooring that leads into the expansive living room where"
"No across the street neighbors! Main level open floor plan w/ hardwood floors, granite countertops in the kitchen. Wood deck off dining area walks down to custom patio. Upstairs has a well-lit loft/family room, 3 bedrooms, 5 piece bathroom, a laundry room w/ shelves, a master bedroom with attached bathroom that includes a stand-alone shower, tub, his and hers sinks $ & a large walk-in closet. Unfinished basement has plumbing rough-ins with over 1000 sq ft. 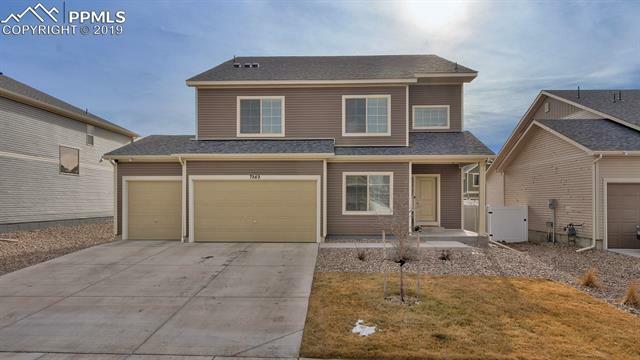 Within walking distance to trails, par"
"Enjoy this open 2-story home fully equipped with main floor flex room, cozy great room, dining area and beautifully designed kitchen with large granite island. This home is perfect for the growing family with its bonus room, 3 secondary bedrooms, conveniently placed laundry room and large master suite with spa shower all upstairs. Extras include an large covered back patio, AC, a study, white cabinetry with roll-outs and more." "The Reagan layout is a super functional layout with no wasted space. A rare find with a finished basement. 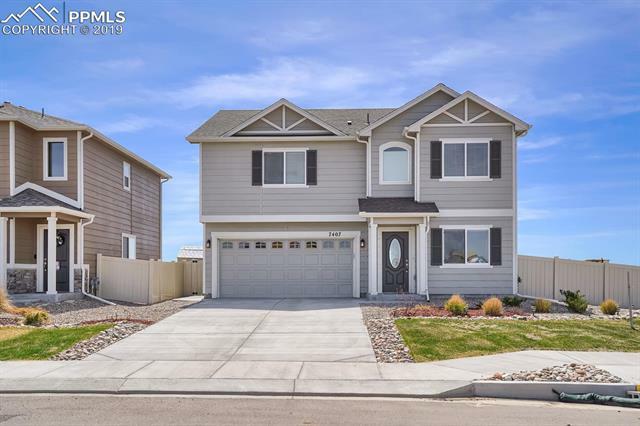 Built by Challenger homes in 2016 this home has been loved on and improved on! 3 bedrooms upstairs and another good size bedroom in the basement. The main level is inviting with hardwood floors throughout the common areas including the kitchen. Kitchen has been significantly upgraded with granite countertops, beautiful cabinetry and an extended bay pop out variation in the dining room." 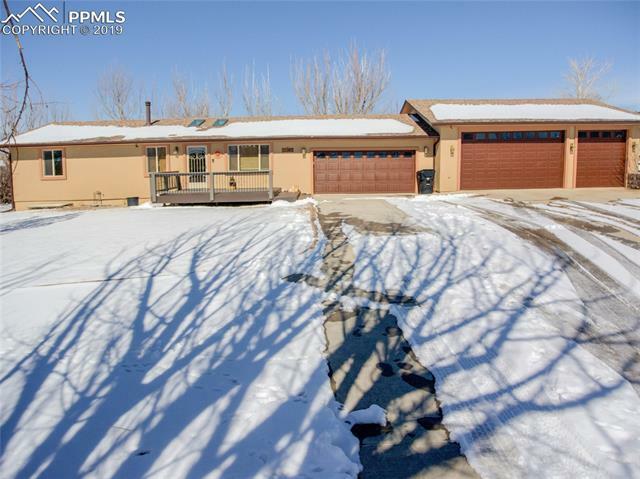 "Wonderful open floor plan with a five ft privacy fence, fully landscaped make this home great for a family. Upon entering the home is a large main level sitting room/office. Proceed into a large open kitchen, family room, and dining room. Lots of kitchen space perfect for entertaining and cooking large family meals. Kitchen features granite counter tops, stainless steel appliances, and staggered cabinets with crown molding!" "The Yampa is one of the fastest selling homes in all of Colorado! If you need space, this is the home for you. Need an office? What about formal dining? Our flex room lets you design your home to meet the specific needs of your entire family! 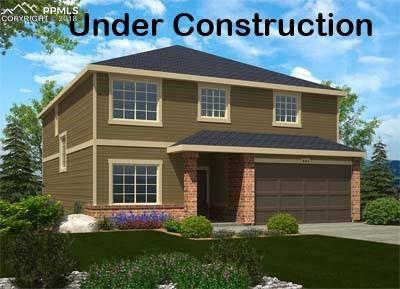 Come see the large kitchen with walk-in pantry and huge kitchen island. Enjoy convenience and versatility with an upstairs laundry room and bonus room. This home included AC, and a living room fireplace, high-end finished and more." "Cumberland Green an established community, here you will find a Corner 2 Story Home, 3 bdrms, loft, 3 bthrms, 2 car garage beauty. W/ all the upgrades a builder offers w/out the price. Move in Ready, why wait! Entering the home you will step onto the beautiful engineered wood flooring thru out the main floor. The openness on the main level will make you say I am home. From the flow of the dining room into the family room onto the kitchen. Look at the gorgeous windows letting in that natural ligh"
"Beautiful 2 story family home in a well sought-after subdivision. Within walking distance to the pool, club house, park and apple orchard. 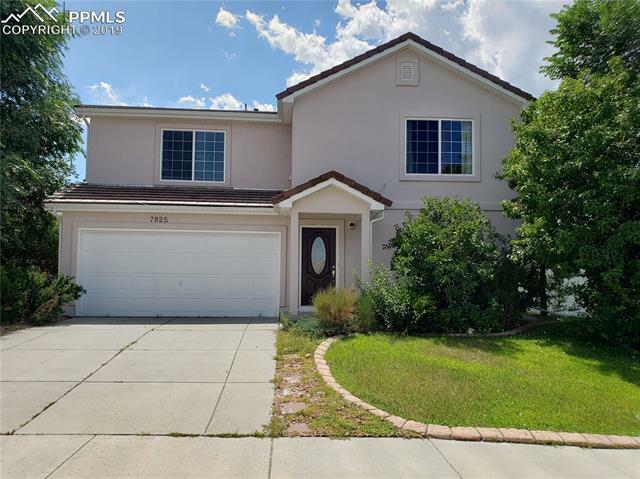 Main level encompasses a large great room for open concept entertaining and walks out to a beautiful patio and fully fenced back yard for the kids and pets. The main level also includes an office space currently used as a play room but could also be used as a guest room for the in-laws as a bath is close by." "The Yampa is one of the fastest selling homes in all of Colorado! If you need space, this is the home for you. Need an office? What about formal dining? Our flex room lets you design your home to meet the specific needs of your entire family! Come see the large kitchen with walk-in pantry and huge kitchen island. Enjoy convenience and versatility with an upstairs laundry room and bonus room." 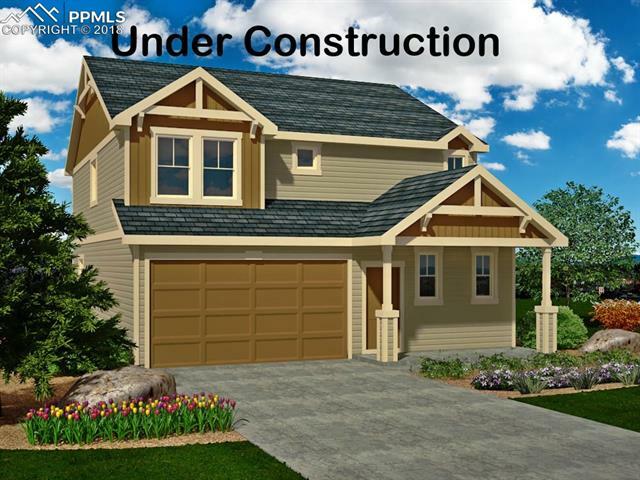 "Inviting, stucco rancher, under construction now! This desirable open floor plan is both cozy and functional. The soaring vaulted ceilings will take your breath away. Must see gourmet kitchen with solid surface counter tops, and large island! The master retreat offers a spa-like atmosphere, featuring a tiered ceiling in the bedroom, and a large bathroom with double vanities. There are plenty of must see standard features that won t disappoint your buyers!" "BEAUTIFUL, SPACIOUS HOME W/OPEN FLOOR PLAN! Over 3600 Sq Ft on Main & Upper Levels. Amenities: Stucco Exterior; Tile Roof; Gourmet Kitchen w/Large Island & Huge Pantry; Spacious Main Level Office; THREE LARGE LIVING AREAS - Living & Family Rooms on Main Level & 2nd Family Room Loft on Upper Level; FOUR Bedrooms & Laundry Room on Upper Level; Large Master w/Five Piece Bath & TWO WALK-IN CLOSETS; Beautiful Stamped Concrete Patio in Fenced Rear Yard; Close to Elementary School. WAITING FOR YOUR FAM"